DENVER — After Uber announced that it had brought electric, dockless bikes to Denver Friday, some users found that their bank accounts had been slapped with a $25 fee. The reason? They had locked the bike outside of the designated area. 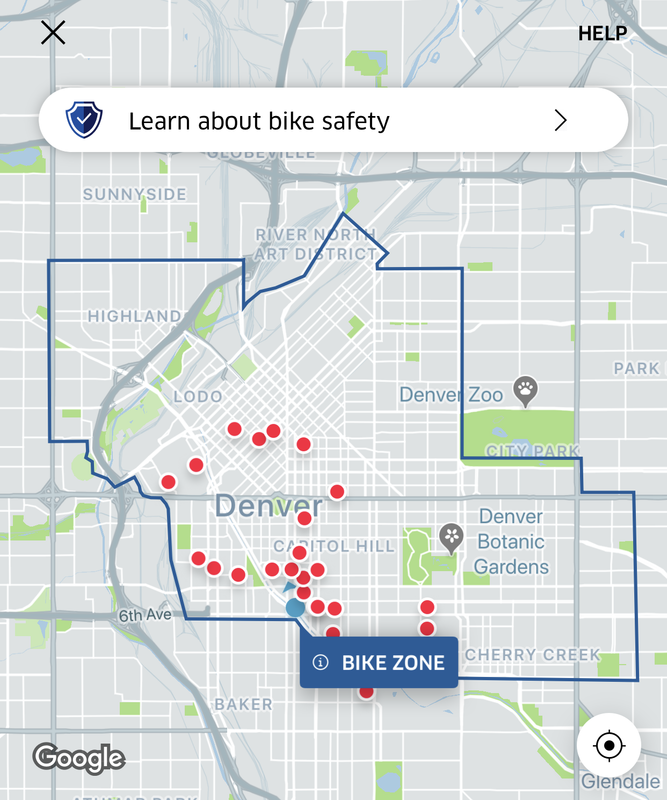 When riders open the Uber app and choose to find a nearby JUMP bike , they are presented with a screen of available bikes and a blue outline of the "Bike Zone," which maps the area where bikes are permitted. While users are allowed to travel outside this area and can leave it there on temporary hold, they must lock it within the boundary or JUMP will add a fee of $25 to the user's account. In addition to the Uber app, the "Bike Zone" is available to view and interact with below and here .